SIOUX CENTER – Vanessa Salcedo wants to be as helpful as possible as people walk through the front doors of Promise Community Health Center in Sioux Center. As a new receptionist for Promise, she is one of the first persons who patients see. “I hope to be another helpful smile as patients walk in the door and make them feel welcome,” she said. 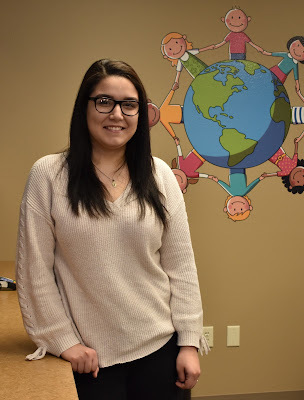 Vanessa, who is bilingual in English and Spanish, grew up in Orange City and attended MOC-Floyd Valley School District through the 10th grade. She graduated from Penn Foster Online High School in 2016. She worked at Mi Lupita Bar & Grill in Sioux Center for four and a half years before assuming her role at Promise. She was interested in learning a new position and doing something different than her past job experiences, particularly a job that involves computers. “I felt like I could do a good job in this position,” she said. Vanessa also appreciates working for an organization such as Promise. Vanessa Salcedo lives in Orange City with her parents, Marcela and Antonio. She has three siblings, Verenice, Kristian and Jennifer. She enjoys spending time with her family and boyfriend, shopping and watching Netflix. 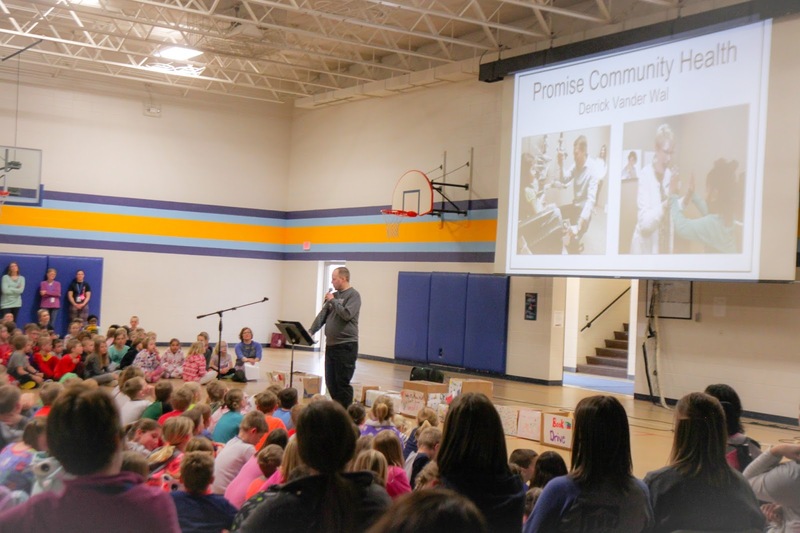 SIOUX CENTER – Hundreds of children throughout northwest Iowa will get books in their hands, thanks to Sioux Center Christian School students. 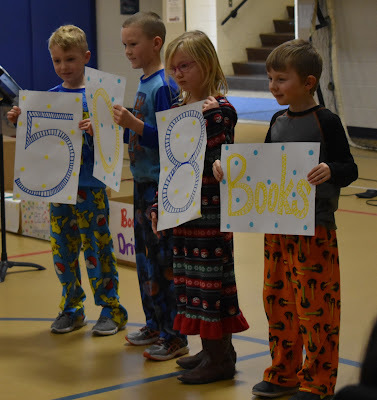 For the third year, students at the school collected books for Promise Community Health Center in Sioux Center in connection with Literacy Week. was Pajama/Comfort Day at the school. 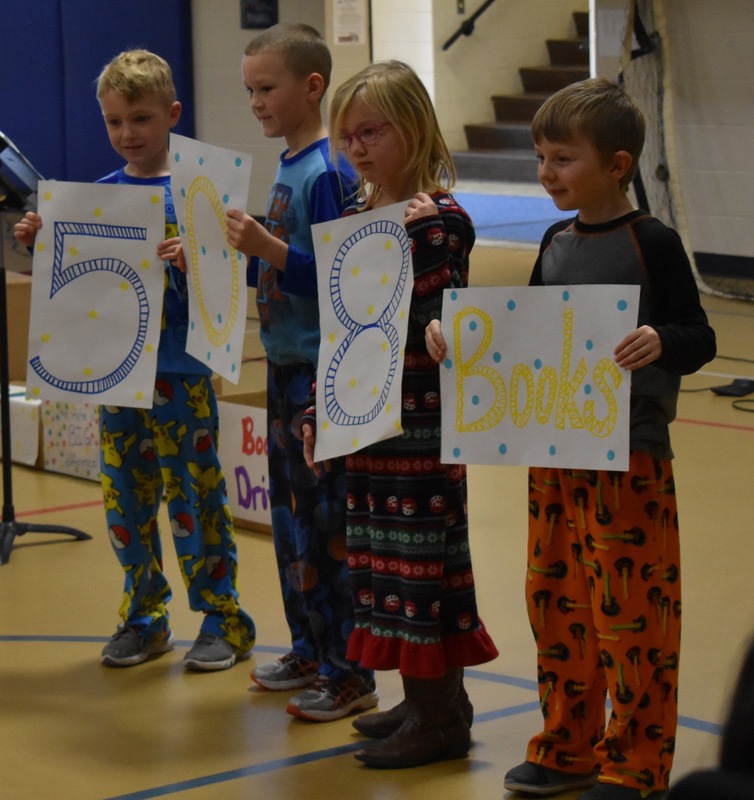 An estimated 508 books were donated to Promise during a culminating, all-school celebration assembly on Friday. 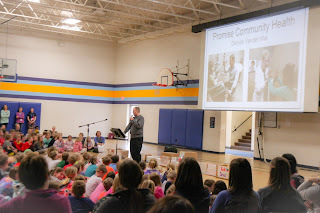 The students also collected $75 in donations so that Promise can purchase about 35 more books in Spanish. They also donated $75 to the Tesfa Foundation for books for children in Ethiopia. The students were excited about the project. “The best part was getting books for people who need them,” said McKartley Van Vugt, a first-grader. The project started two years ago as a first-grade project that also involved second-graders. Last year, the project expanded to all of the lower elementary grades. 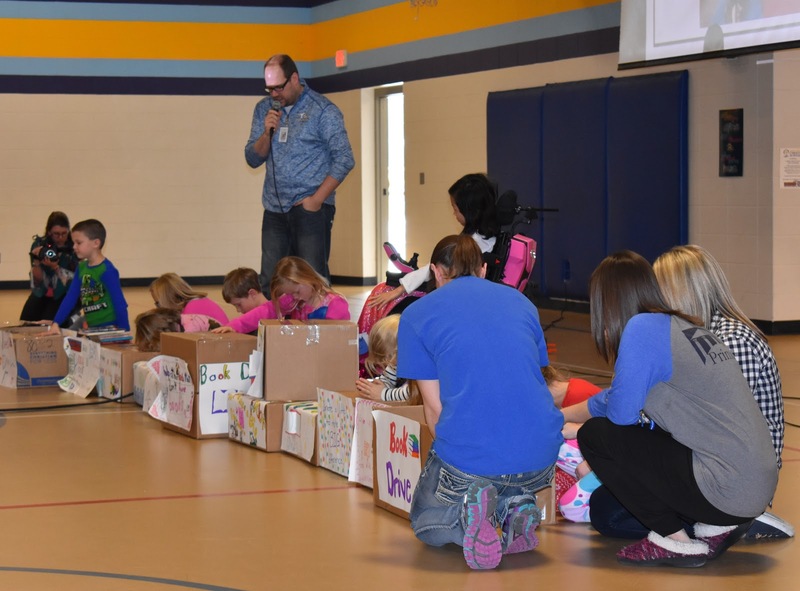 This year, the first-graders spearheaded the project schoolwide for grades K-8. 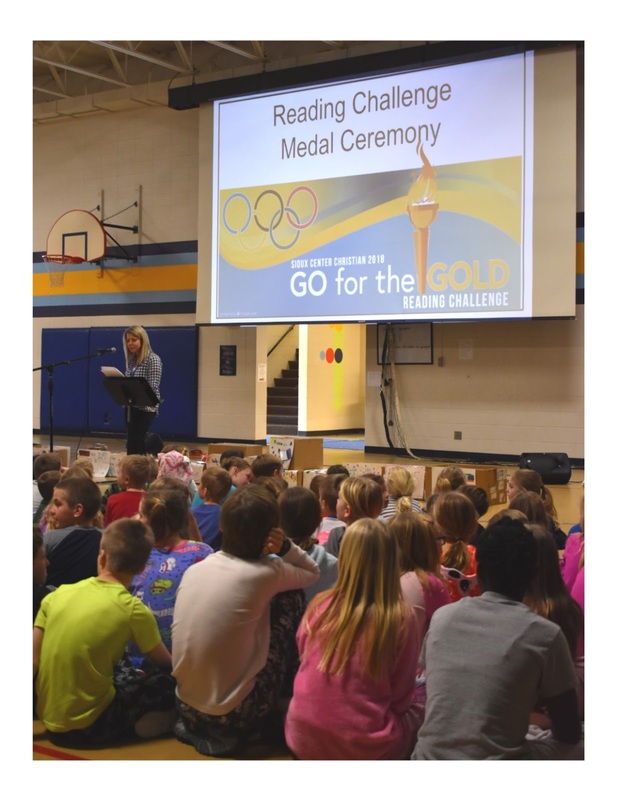 Jill Van Soelen, the school’s teacher librarian, said the project stemmed from classroom work around persuasive writing, math, and speaking and listening skills – combined with a desire to participate in a formational learning experience. Promise Community Health Center on Friday. She said the first-grade teachers explored the idea of injustice with their students, noting an inequality in the number of books that children have access to. 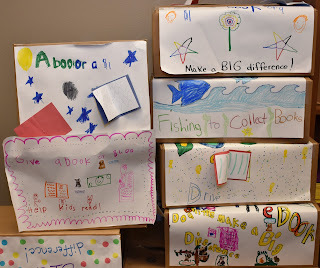 The students helped provide a solution and developed plans with their teachers for executing a book drive – with students choosing what roles they would like to play in the project. 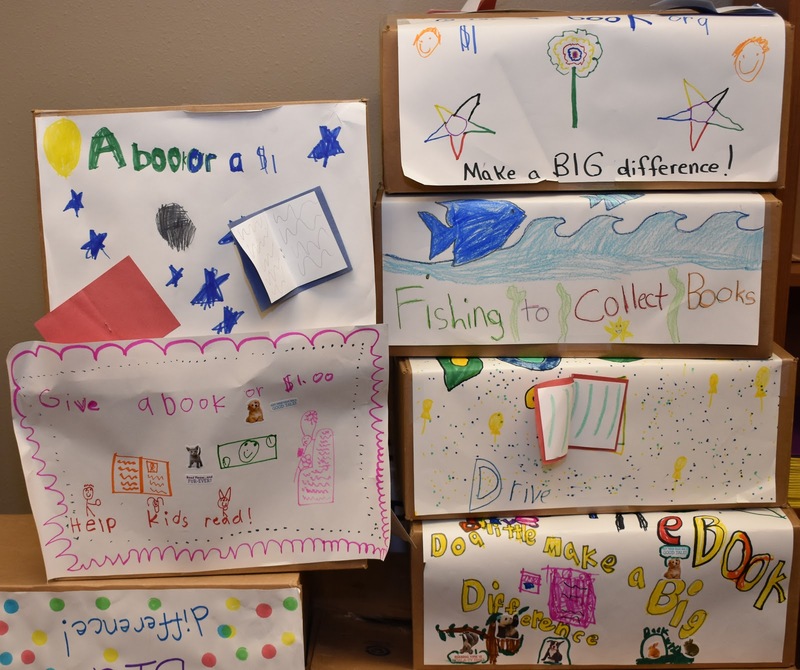 The first-graders went to every classroom in the school to present about the project and made intercom announcements for a week to ask students to bring in gently-used books or to donate $1 for the purchase of books. They decorated collection boxes and posted information on the hallway television monitors. drive for Promise Community Health Center. It was a valuable learning experience. Promise Community Health Center will use the books in various ways. They will be used for Promise’s Reach Out and Read program. During well-child visits, Promise’s medical providers talk to parents about the importance of reading aloud to their young children for their development, they offer reading tips, and they give each child an age-appropriate book. The books also will be given to children as needs arise – maybe they’re frightened about getting a shot or they’re sad because they just had a throat swab test done for strep throat or another sickness. The books also will be available in Promise’s waiting room and exam rooms for children to look at during appointments. a celebration assembly on Friday. A large majority of Promise’s patients are at or near the poverty line. Nearly half of Promise’s patients are 19 years old and younger. About half of Promise’s patients speak Spanish or another language other than English as their primary language. Emily Tuschen, chief operating officer for Promise, said the health center is grateful that the school puts on the book drive.